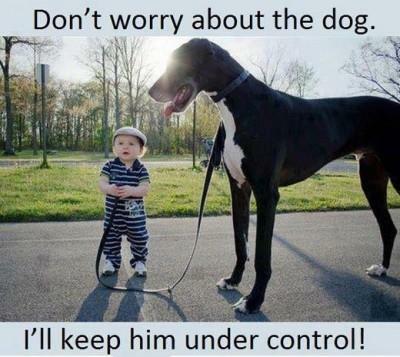 Don't worry about the dog. I'll keep him under control! Don't worry about the dog. I'll keep him under control!